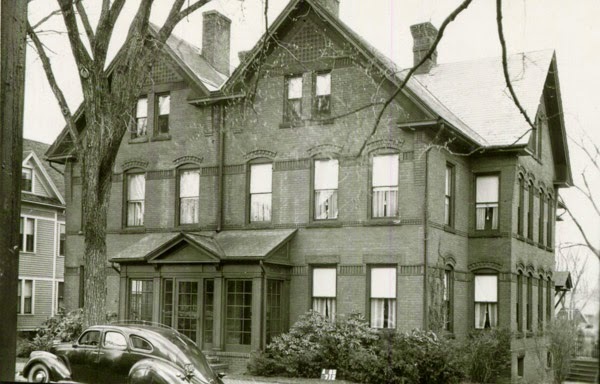 The building at 23-25 George Street in Springfield, around 1938-1939. Image courtesy of the Springfield Preservation Trust. 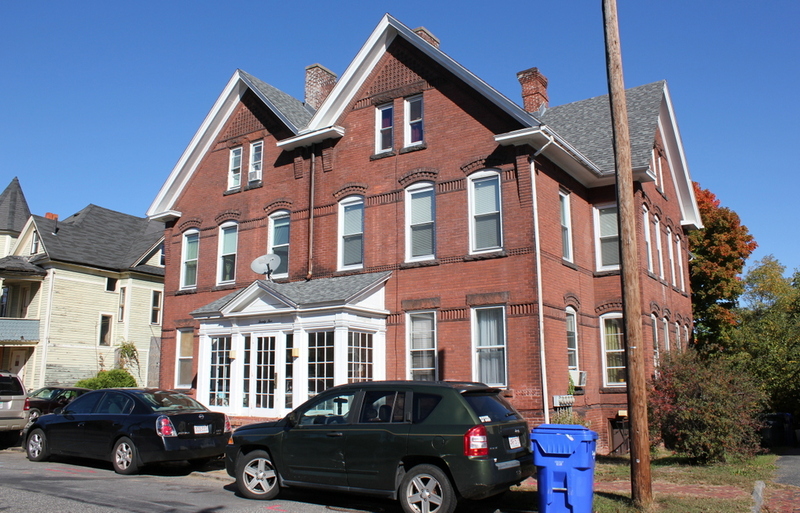 This apartment building was built around the 1880s or 1890s in Springfield’s Maple Hill neighborhood. At the time, the area mainly consisted of large, elegant single-family homes for some of the city’s most prominent residents. This building was an exception, though, and its early 20th century tenants were predominantly blue collar workers. From the 1910 through 1940 censuses, the building appears to have had four apartments, and housed a variety of families. Some were immigrants, including people from Canada, Germany, Sweden, and Turkey. Many worked as skilled laborers in the city’s factories, including some who worked at the Armory. By the 1940 census, shortly after the first photo was taken, there were four families living here. There were two married couples who lived alone, another couple who lived here with the wife’s brother, and an older widow who lived here with her personal nurse. Three of these families paid $30 in monthly rent, while the fourth paid $65. The four occupations listed, aside from the nurse, were a toolmaker in a radio factory, a machinist in a factory, a president of a life insurance company, and a president of a lumber company. Nearly 80 years after the first photo was taken, the building now consists of six apartment units. However, the exterior is remarkably unchanged. The front porch is probably not original to the building, although it looks basically the same as it did in the 1930s, aside from the addition of a satellite dish. The house, along with the rest of the east side of George Street, is just outside the boundary of the Ames and Crescent Hill Historic District on the National Register of Historic Places, but it is located within the city’s Maple Hill Local Historic District.